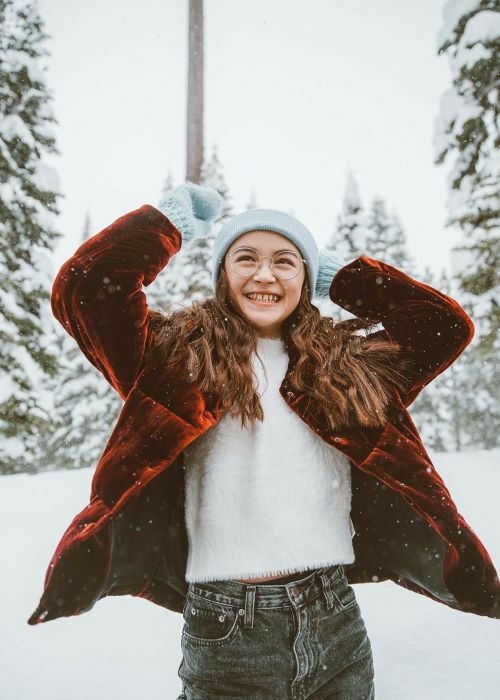 Anna Cathcart is a Canadian actress, best known for her role of Agent Olympia in the TV series Odd Squad that started airing in 2016, as well as the TV movies Odd Quad: The Movie (2016) and Odd Squad: World Turned Odd (2018). She also had the role of Robyn in the series Dino Dana (2017) and was known for her role of Dizzy in the TV movies in the Descendants franchise – Descendentes: O Destino dos Irmãos (2017), Descendants 2 (2017), Descendants 2: It’s Going Down (2017), and Descendants 3, which was set to premiere in late 2019 or early 2020. To the audience in the cinema, Anna was known for the role of Kitty in the movie To All the Boys I’ve Loved Before (2018) alongside Lana Condor, Noah Centineo, Janel Parrish, and Israel Broussard. Anna was also recognized for the role of Tween Drizella in 2 episodes of TV series Once Upon a Time in 2017 and 2018, and the lead role of Zoe Valentine in the self-titled series, Zoe Valentine (2019). She also played a character named Zo in the family movie Spring Breakaway (2019). In 2019, the filming of To All the Boys I’ve Loved Before 2 Netflix feature film started, and Anna was set to reprise her role of Kitty. Anna has amassed more than 1 million followers on her Instagram account. 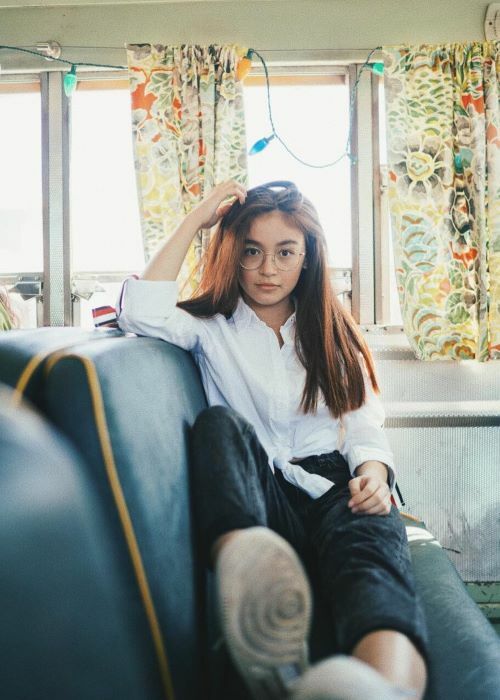 Anna Cathcart’s educational qualifications are unknown. Anna Cathcart hasn’t publicly dated anyone yet. Anna Cathcart is of Canadian descent. 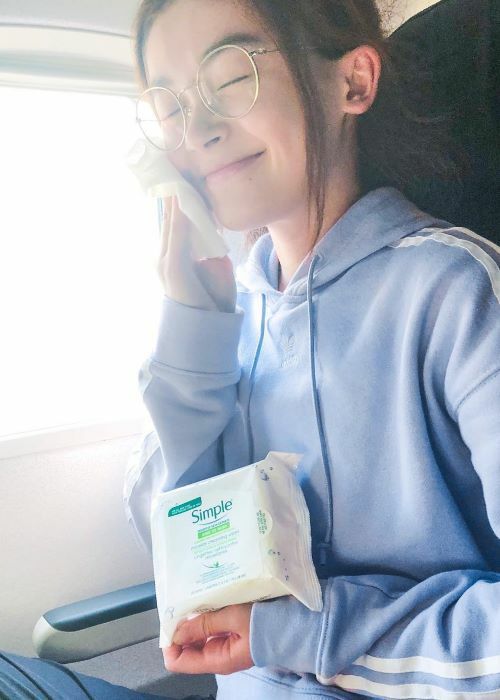 Anna Cathcart appeared in a TV commercial for Crayola and Campbell’s Soup in 2011 and began endorsing a cruelty-free, PETA certified Simple Skincare brand in March 2019. Anna Cathcart made her first feature film appearance as Olympia in a comedy film Odd Squad: The Movie in 2016. Anna Cathcart made her first TV show appearance as Agent Olympia in an episode titled First Day of the comedy, crime, family series Odd Squad in 2016. 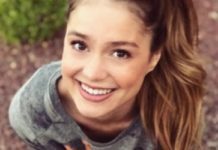 While Anna is still too young to perform intensive workouts, she maintains her slim physique by doing a lot of ice skating, skating, playing tennis, going on a hike and bowling with friends. She also showed an affinity for adrenaline-pumping sports and went skydiving from an airplane in August 2018. She began acting at the age of 8 because she wanted to follow in her older sister’s footsteps. Anna did a few commercials and immediately thought that acting was the best job in the world. She took a break from acting until she was 12 years old, after which she was approached by a talent scout to audition for the comedy series Odd Squad that she joined in 2nd season in 2016. Anna was a big fan of Disney, and really liked the movie Descendants (2015). That led her to audition, and bag the role of Dizzy in Descendants 2 (2017) and later in Descendants 3. It was reported that the movie Descendant 2 (2017) was seen by 5.33 million viewers when it premiered on Disney Channel that year. 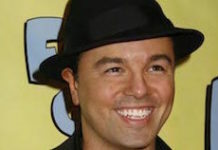 Many viewers went on to leave positive reviews about Anna’s acting performance. She has a dog named Mia. Anna is allergic to pineapples. She hates horror movies and even seeing a movie poster freaks her out. Anna is a germaphobe and sharing food with others terrifies her. One of her most embarrassing moments in acting was when she was doing a commercial for a spaghetti product. Because she was very nervous, she gagged and threw up spaghetti while the camera was rolling. Her celebrity crush is Tom Holland, and she would like to star in an acting project with him and Zendaya Coleman. Out of all the characters that she played, she relates the most to Kitty from the Netflix movie To All The Boys I’ve Loved Before (2018). Anna didn’t audition for the lead role of Zoe Valentine in Zoe Valentine TV series that started airing in 2019. She got an e-mail from the producers who were interested in her taking the main role and she ultimately accepted. Anna was always a big fan of Polaroid-type photography and likes to take mirror selfies in outfits that are retro. If she could live in any period from the past, Anna would choose the 1950s because she’s a fan of vintage things such as poodle skirts and the fashion of that time period in general. She described herself as an introvert and a very reserved person but said she embraced her uniqueness. In November 2016, she was awarded a Joey Award for “Best Young Actress in a Lead Role” for her role of Olympia in Odd Squad: The Movie (2016). Anna described her To All the Boys I’ve Loved Before (2018) co-stars Janel Parrish and Lana Condor “almost real-life sisters”. In late March 2019, Anna was awarded a Canadian Screen Award in the category “Best Performance, Children’s or Youth” for her recurring lead role of Agent Olympia in the Odd Squad TV series (2016-2019). In her acceptance speech, she thanked her dog, Mia, which drew laughter from the audience.